– Third owner since new with documents available. – Rechromed with lots of bright chrome. – Original bow light with integral circulating air vent. – Deck mounted chrome siren. – Dual chrome spot lights mounted on each side of the windshield. – A rear view chrome mirror in center of windshield. 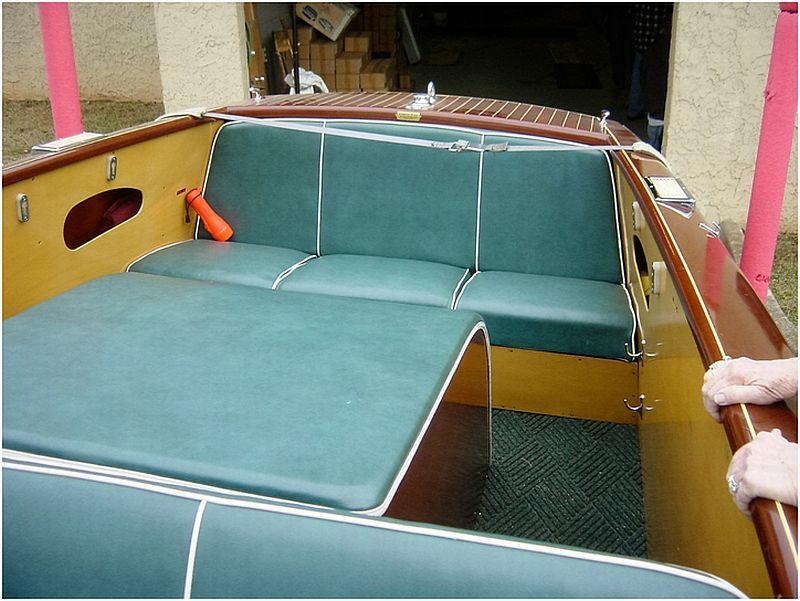 – Seats are upholstered in quality marine grade green naugahyde with white piping. 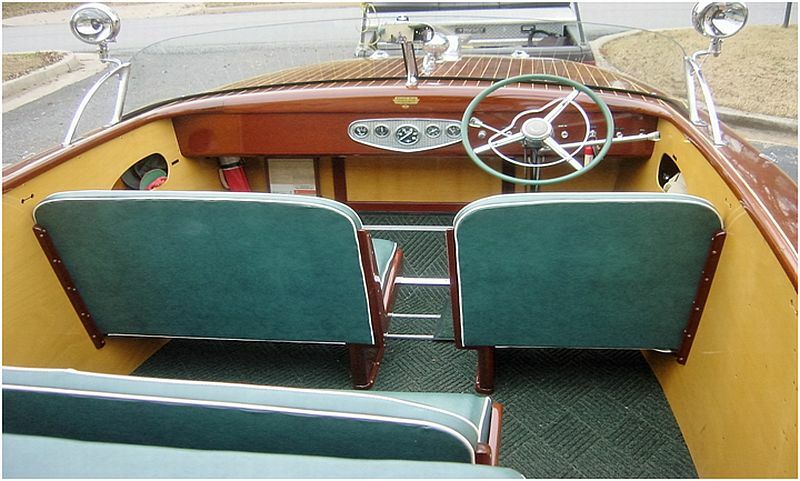 – Floor has “special” Waterhog carpet rope design adding to the quality ride and nautical appearance. – The galvanized fuel tank has been replaced with a new custom fabricated 20 gal. baffled stainless steel tank for longevity. – Bilge pumps installed fore and aft. – Original hour meter with less than 600 hours. 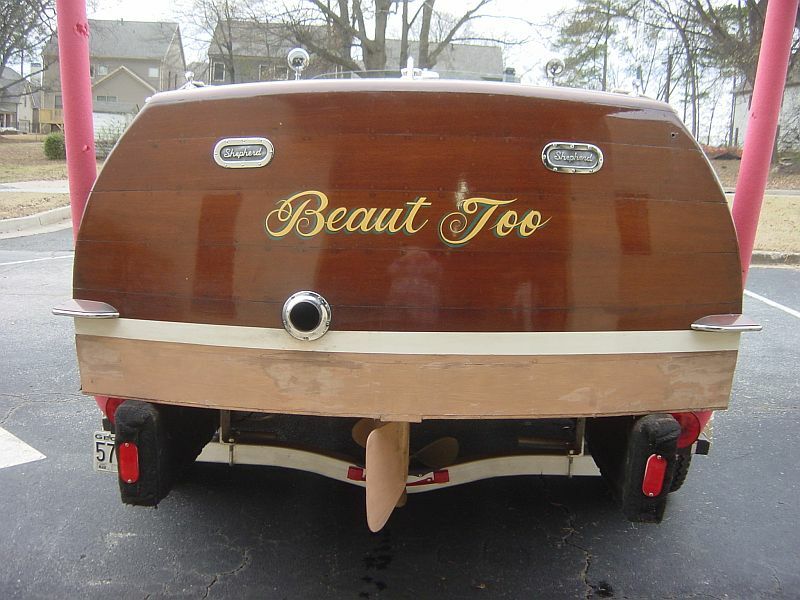 The 12 coat marine varnish finish topside and the bottom, recently refinished using Interlux bottom enamel, complete the name of the boat: “Beaut Too”, the pride of the show. boarding ladder and matching gaff with 6’ handle and chrome hook along with a Shepherd paddle, bow flag and ensign. 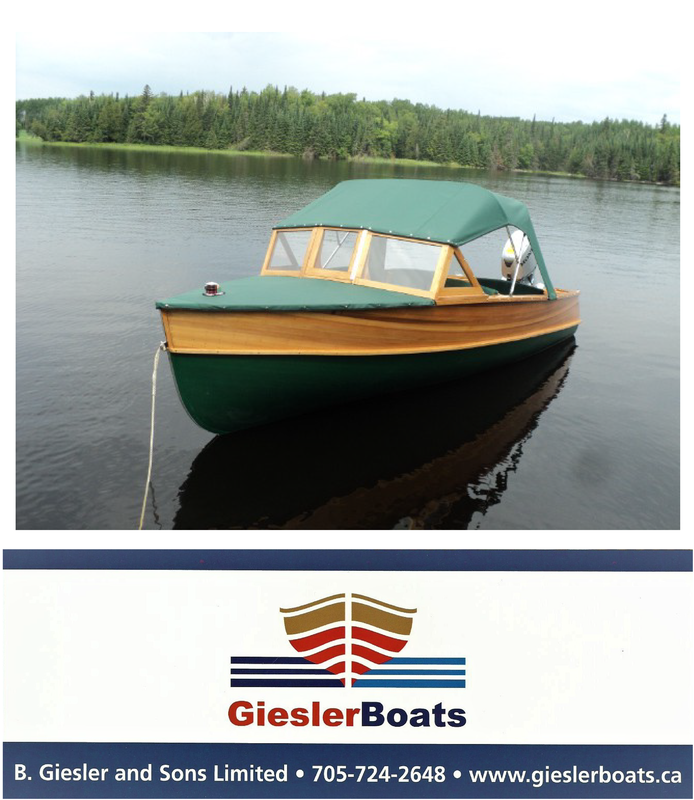 Finally, the boat rides on a special 30’ heavy duty American 5 Star tandem axle trailer with five 8 ply 14” Michelin tires mounted on anti-rust wheels, hydraulic surge brakes for controlled braking and torsion suspension stabilizer. All these provide a safer, smoother and more comfortable ride when towing. This well-maintained boat has always been run in fresh water and has been garaged in a controlled warehouse when not in the water. Boat located in Marietta, Georgia, USA. 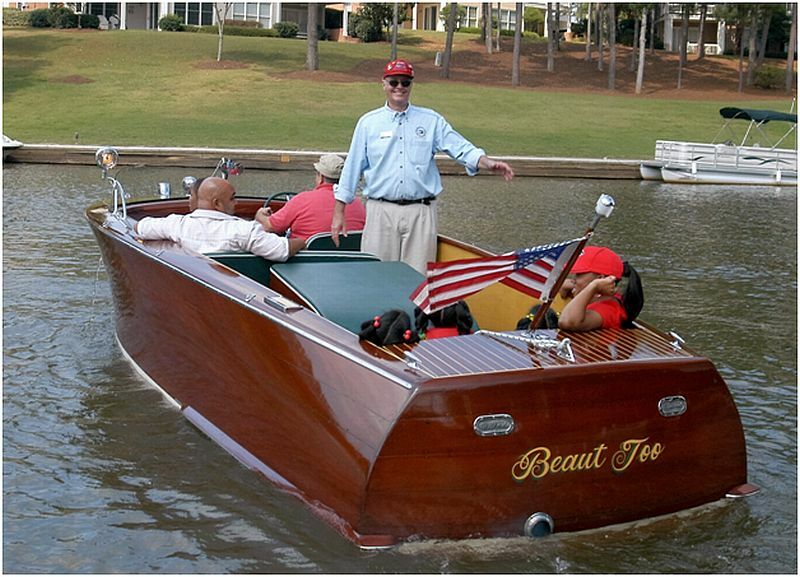 Asking $125,000 U. S.
This boat is ready for fun and show, a real rare find. Owner says NO but wife says MUST GO.